Hello, Ribbon Lovers! How happy are we that summer is finally here? It's time to put on our suntan lotion, don a floppy hat and head to the beach for some summertime fun. This is birthday season in our household with about 11 birthdays in 3 months' time. 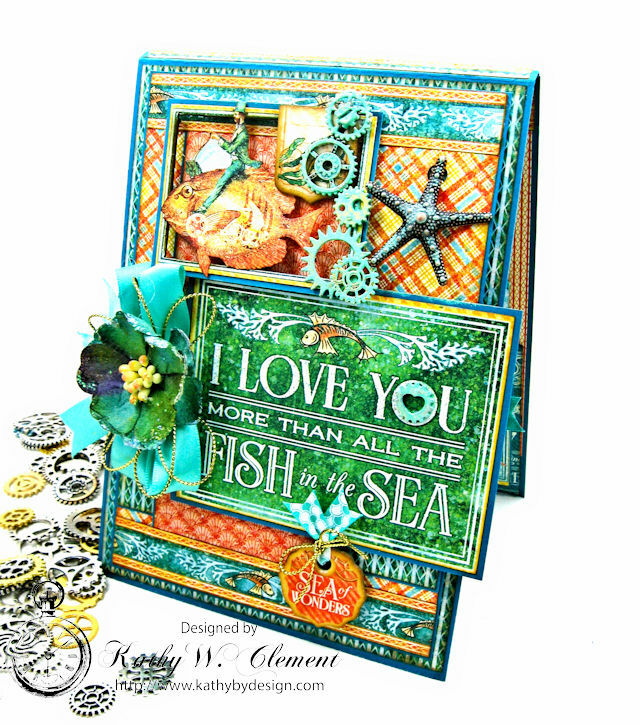 I try to work ahead and get special projects and cards made so that I don't come up short when birthdays roll around. 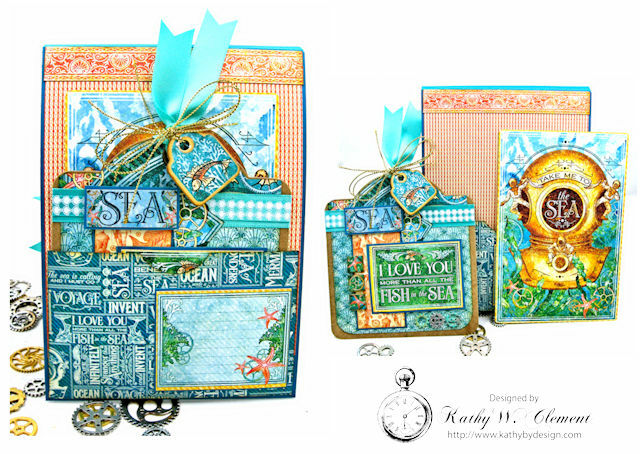 The Ocean Breeze Ribbon Club Assortment inspired me to pull out my Graphic 45 Voyage Beneath the Sea papers and work up this fun Steampunk Style Summer Beach Folio. 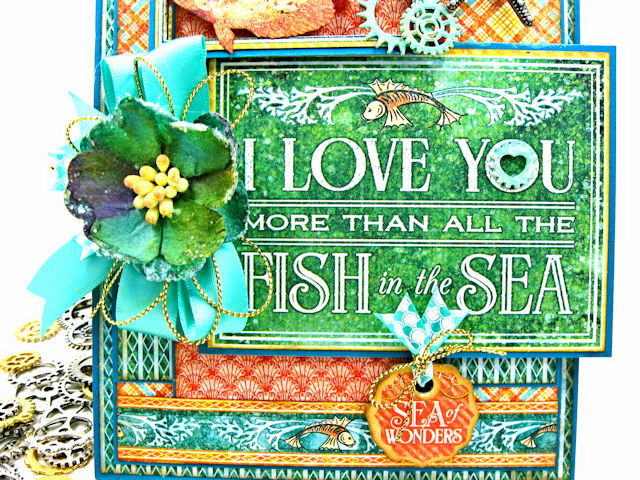 Tropic Double Faced Satin Ribbon is such a perfect companion for these whimsical papers. And these colors just scream summertime! First, I tied a Tropic Double Faced Satin Ribbon Double Loop bow with a little help from my Bow it All Tool. Next, I hot glued a loopy Gold Metallic String bow on top. I also added ribbon and metallic string to that sweet little chipboard charm, making it stand out in the card design. Did you know that Really Reasonable Ribbon carries Steampunk Gears and Cogs? I painted these with Cracked Pistachio Distress Paint, which is very close in color to the Tropic ribbons. It adds a fun steampunk vibe to the card design. 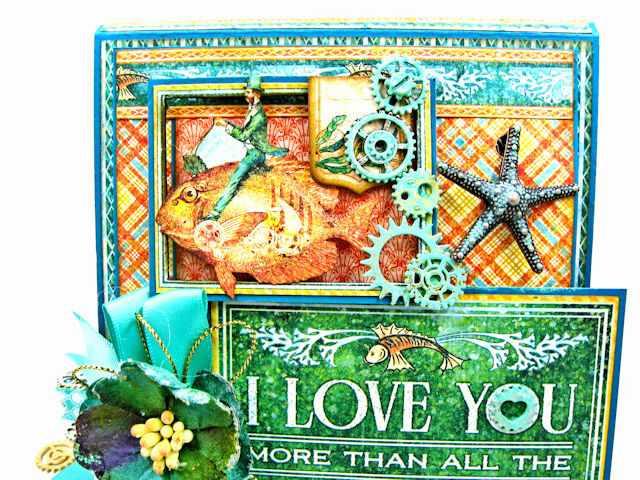 I especially love the heart shaped gear that I used in the center of the "O" in YOU. 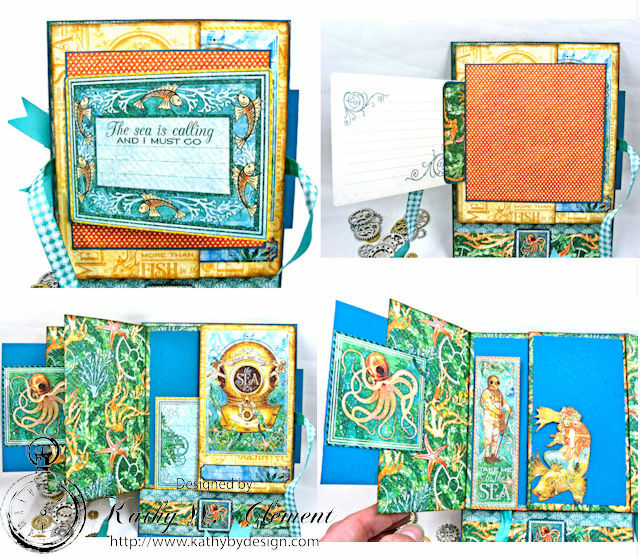 I turned this 5" x 7" top fold card into a folio by adding a 1/4" spine to the design. The top section of the folio contains this fun accordion style album. I've used more of the Fancy Shell Print on Tropic Satin Ribbon as a closure mechanism for the gatefold cover. The album is double sided so it will hold a lot of 3" x 5" photos. The pocket on the bottom holds a pretty art tag and an ephemera card from the collection. I layered my Tropic ribbons on the top of the tag to add extra pattern, color and shine to the tag design. I also tied a short piece of Tropic Double Faced Satin to the top of the tag, then added another chipboard charm with Gold Metallic String. 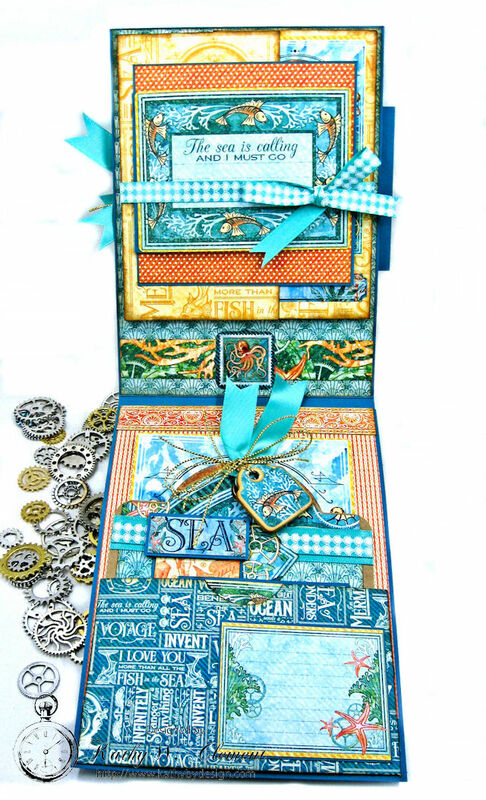 If you've fallen in love with the ribbons in this Ocean Breeze Ribbon Assortment like I have, then you'll want to sign up for the RRR Monthly Ribbon Club HERE. It's like having a birthday present arrive in the mail every single month of the year.